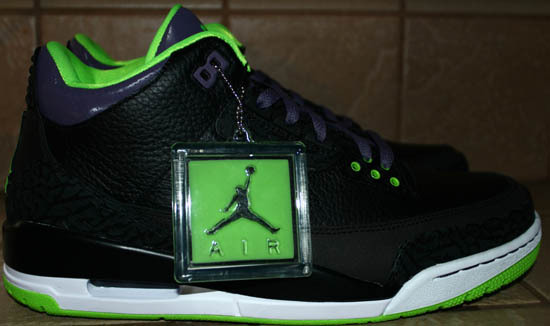 The Air Jordan 3 Retro will return in 2013. We've seen the "Crimson" colorway a few times and now, we get a good look at another new colorway. Check out the auction here. 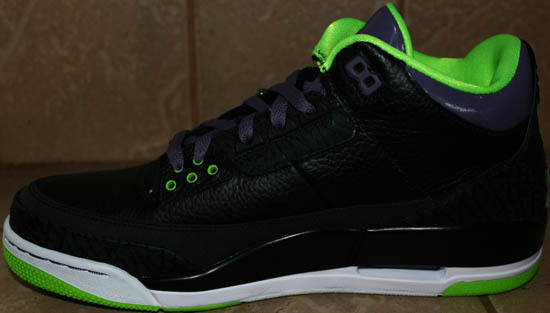 Nicknamed the "Joker" edition, this Air Jordan 3 Retro comes in a black, green and purple. 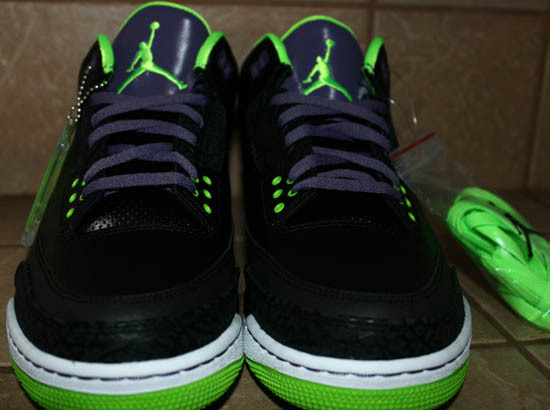 Featuring a black-based upper with purple accenting the laces, tongue and back heel with green accenting the Jumpman logos, extra set of laces, sockliner, outsole and hangtag. 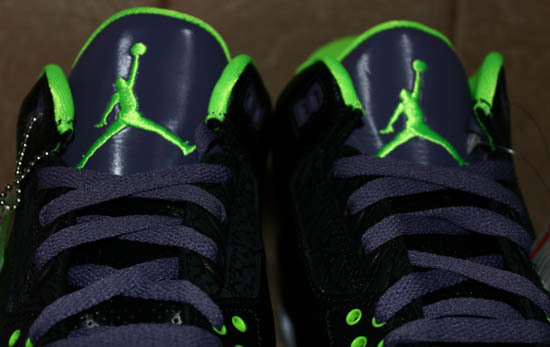 While no release date is confirmed at this time, expect to see these release sometime between March and June of 2013. As of right now rumors are these will be limited and if that's the case we might see these earlier than March. Once I have a release date, I will be sure to post it up. 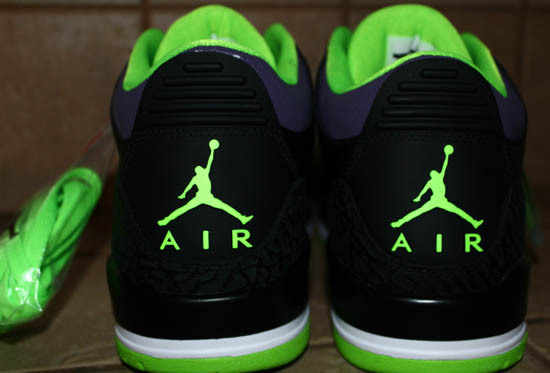 A limited release, they will be available at select Jordan Brand accounts worldwide on Saturday, February 16th, 2013. Retail is set at the usual $160 and, they will come in the OG style Air Jordan III box. 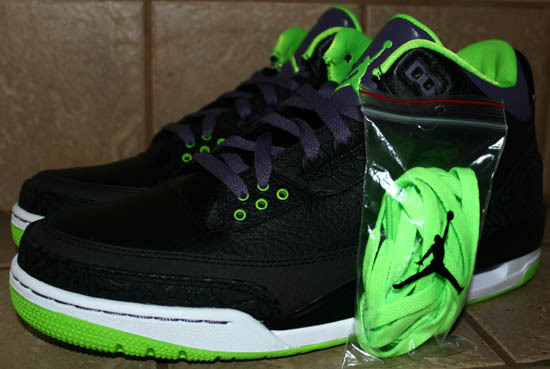 For now, enjoy these images of the 2013 "Joker" Air Jordan 3 Retro below. 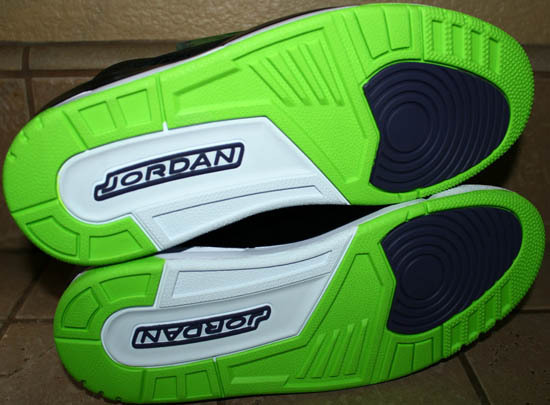 If you really like these and want them way before anyone else, click here to grab them on eBay.